Ahhh memories. I remember renting this on VHS way back when that was the done thing. I also remember thoroughly enjoying it. It’s not gonna win any awards, but it entertains and that’s all I really ask for. I’ll try to keep the hype to a minimum as I watched it having never heard of it before. 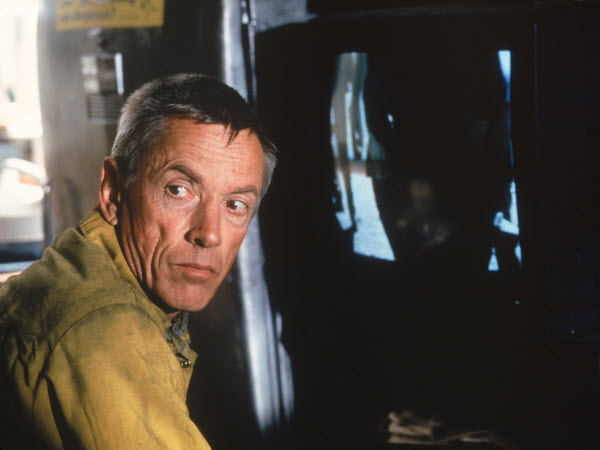 The film kicks off with our hero Jesse Graves (Howie Long) who fights forest fires, also known as a ‘Smoke Jumper’, aided by his best buddy Wynt (Scott Glenn). Jesse is essentially one of the best at his job…blah…blah…blah…you get the drift. After a major forest fire breaks out, Jesse springs to action, believing that some of his fellow firefighters are trapped in the midst of a fire. 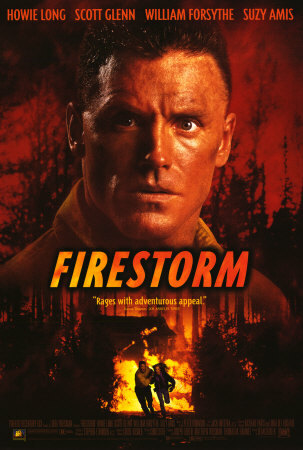 Unbeknownst to Jesse the ‘trapped firemen’ are actually a group of dangerous escaped prisoners, led by the villainous Shaye (William Forsythe). The prisoners are using the fire as a distraction while they search for a ton of stolen money. While this is going on Jesse also has to save a trapped ornithologist (Suzy Amis) from the fire. Like I said this film will not win any awards. That being said I really did enjoy it. 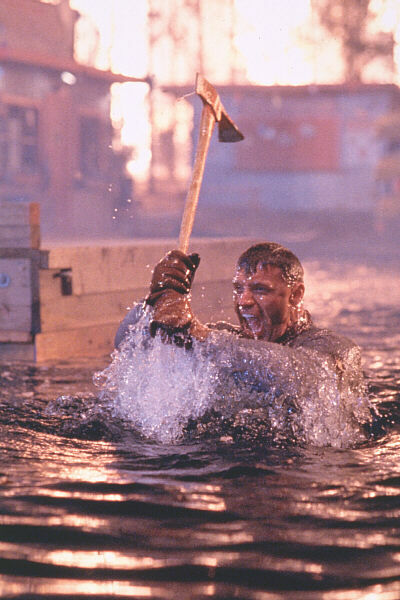 It’s full of cheesy acting, explosions, action and the obligatory ‘Arnie style’ quip. William Forsythe who is the go to bad guy of choice is menacing as Shaye. He is always good value for money in whatever film/show he’s in. Howie Long is decent enough as Jesse. He was never going to hit the dizzy heights that Schwarzenegger did, but he does well regardless. 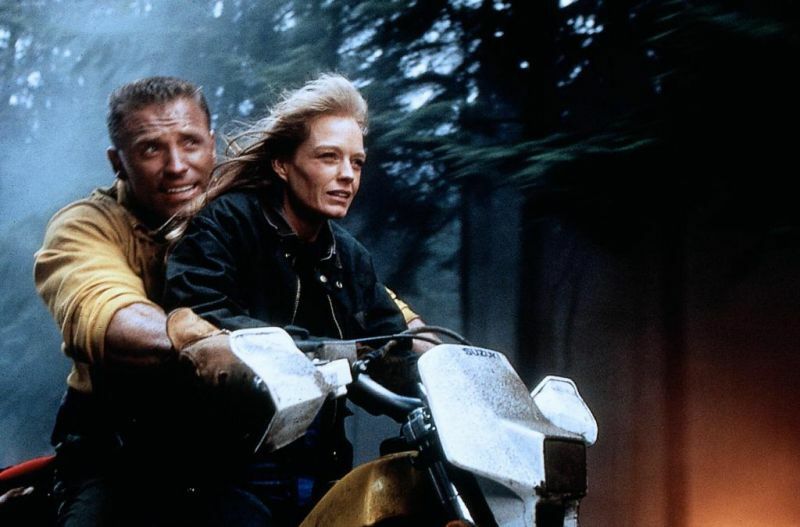 Suzy Amis and Scott Glenn are also good in their respective roles. This is the sort of movie you’d catch late at night on something like Channel 5. It’s good fun though and I would recommend giving it a whirl. Sheesh I forgot all about this one. I do like it lol. It’s good fun.